Laser technology is engineered and designed to perform special functions without changing or damaging the surrounding tissues or materials of the teeth. Lasers deliver energy in the form of light. Depending on the intended result, this energy travels at different wavelengths and is absorbed by the "target". In dentistry, these targets can be enamel, decay, or gum tissue. There is little or no sound associated with laser treatment. Dental lasers have been shown to be safe and effective for treating both children and adults. 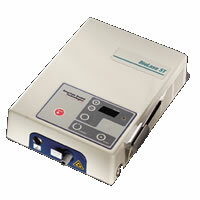 Very specific equipment and training are required to incorporate this technology into the dental office. The continuing advancement of this technology is proceeding at a startling rapid pace. 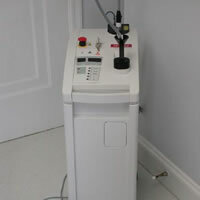 Dr. Fattahi currently uses the Erbium YAG Laser and the Diode Laser. The Erbium YAG dental laser is a pulsed light that provides pinpoint accuracy to gently remove decay without the need for anesthesia or the drill in most cases. The ErYAG dental laser helps sterilize as it works, and is less traumatic to the tooth than the drill. Bond strengths of white fillings to the tooth are also improved by 50% over conventional techniques. The ErYAG laser technique allows you to leave the office without a numb mouth and with a tooth-colored filling that can be chewed on immediately. Modern soft-tissue lasers are used to cosmetically contour gums, lengthen crowns to provide ample structure for restoration, and treat pockets of infection during gum treatment.